I've been wanting to do this meme for so long, but only recently did I have the digital media know-how to do it. I'm gonna do this meme 6 times in total, counting thise one: Once for each generation, and then one that includes ALL generations. I've actually already got the linearts and BGs done for all of them; now I'm just coloring and shading them. OCs and sonas will be included. The Dragonair with the skull on its head is the sona of my third pet ball python, Mortality. I named her that because she has several near-perfect skull patterns on her sides, and one that IS perfect. That, and the name kinda matches "Serenity" and "Catastrophe." I call her "Morty" though. Also, If I happen to like the shiny coloration of any Pokemon better, I'll be using it instead of the normal one. For example, I like shiny Magnemite's colors and shiny Seadra's colors more than I like the normal ones, so I used those. 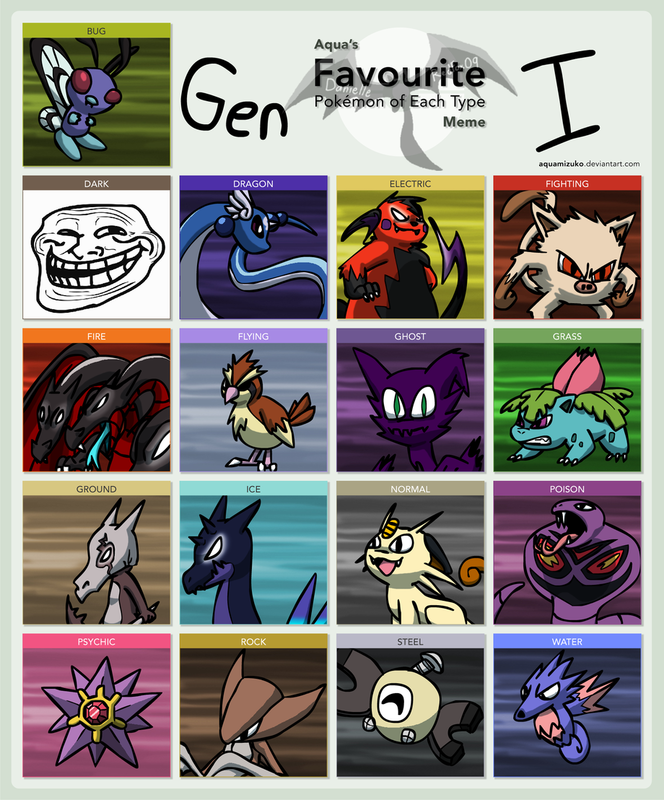 Many of these are first attempts, so if some of the Pokemon look a bit off, that's why. Also, debuting my new watermark. Will be using it from now on. ... I hope I got Harper right... He has no art.